An exclusive course. Lessons for the Italian literature lovers. For everyone wants to study the literature for the preparation of exams or for the ammission at the Italian University or just for passion and personal interest. This will be a fascinating trip between the centuries, meeting the most representatives protagonists of the Italian prose and poetry, discovering the rich Italian literary tradition. A fascinating journey that allows you to combine the Italian language to its highest expressions, its more representative characters, through the ages … Knowing a language means to have the keys to understand its soul. Together we will have the pleasure of knowing the most beautiful creations, to admire its use of language, literary wisdom, the most profound messages delivered to all-time readers. 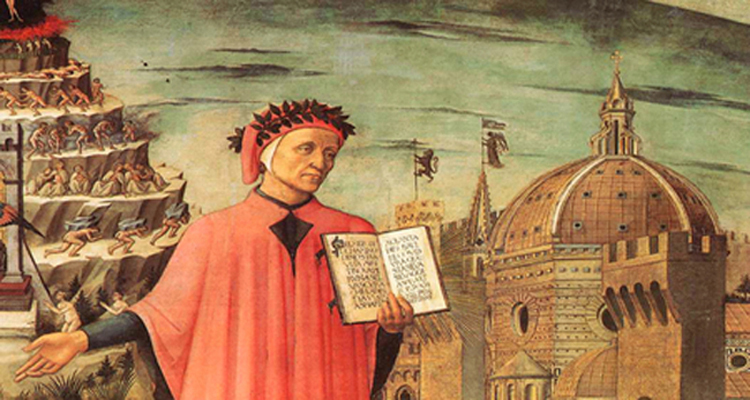 Our literature courses cover the whole Italian literary tradition from Dante to contemporary writers. The courses can be taught both in English or Italian language, according to the level of the students. The lessons can be individual or in a small group. The program can be flexible and it is possible to create a personalised schedule. For more than 3 students or a small group, contact us to get all the informations. We can provide a cutomized course with a special promotion for you. it is the best for those who want to study the Italian literature for the preparation of exams or for the ammission at the Italian University or just for passion and personal interest.